Talk about a great hair day! 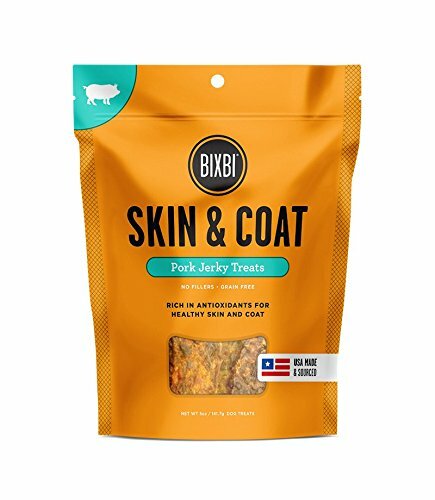 BIXBI Skin & Coat jerky is loaded with naturally enriching whole foods that help support shiny, full-bodied coats and healthy skin. Packed with antioxidants, vitamins and minerals, our formula provides protein-rich nutrition. With BIXBI Skin & Coat your dog will look like he’s fresh from the spa. Talk about a great hair day. 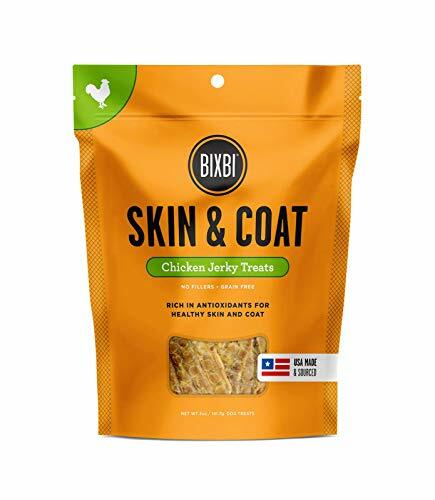 BIXBI SKIN plus COAT treats will treat your pet to a day at the spa. Packed with naturally enriching anti-oxidants, vitamins and minerals, our SKIN plus COAT formula will get your dog ready to shine. At BIXBI, we believe in short supply chains. All of our ingredients come from the United States, not the other side of the world. Why? Because we believe in supporting local suppliers whenever possible while working to reduce our environmental impact.